It hit Amazon.com last week, but on Monday Aspyr Media made it official by announcing thet Sid Meier’s Civilization IV: Beyond the Sword is now available. It costs $35. 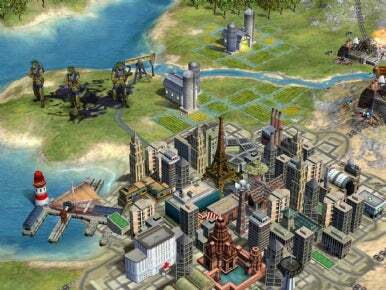 Beyond the Sword focuses on modern-day Civilization IV scenarios and beyond. The second expansion pack for Sid Meier’s Civilization IV, Beyond the Sword adds ten new civilizations, 64 buildings, 16 leaders, five new wonders, six new technologies, corporations, a new espionage system and expanded trade routes. Aspyr and 2K Games describe Beyond the Sword as the largest-ever expansion pack for the popular turn-based Civilization strategy game series. Eleven new scenarios let you explore new worlds, battle zombies, conquer medieval Western Europe and more. You can also start games in later eras, purchasing units, roles, improvements and technologies to help get started. Sid Meier’s Civilization IV: Beyond the Sword is rated E10+ for everyone age 10 and older. The original game is required to use the expansion pack.